Owned and operated by long time Hampden and Silver Spring Township residents Ed and Joanna Tamin. Hampden Cleaners has been serving the community since 1981 and will continue to do so under the supervision of shareholder and general manager Zlatan (Zee) Krpic. Our goal has always been to provide the highest level of customer service. 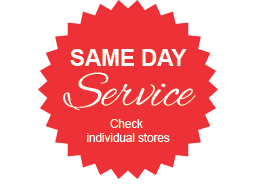 We meet this goal every day by staffing our stores with highly qualified, long serving technical and customer service personnel. This simple approach is the reason for our success during these years. It also allows us to focus on staying current with the technological advances and environmental regulations in the dry cleaning industry. We were the first to introduce a new, state of the art organic dry cleaning system that is friendly to our employees, our customers and the environment. At Hampden Cleaners we never take your business for granted. We work hard to earn it, one order at a time.